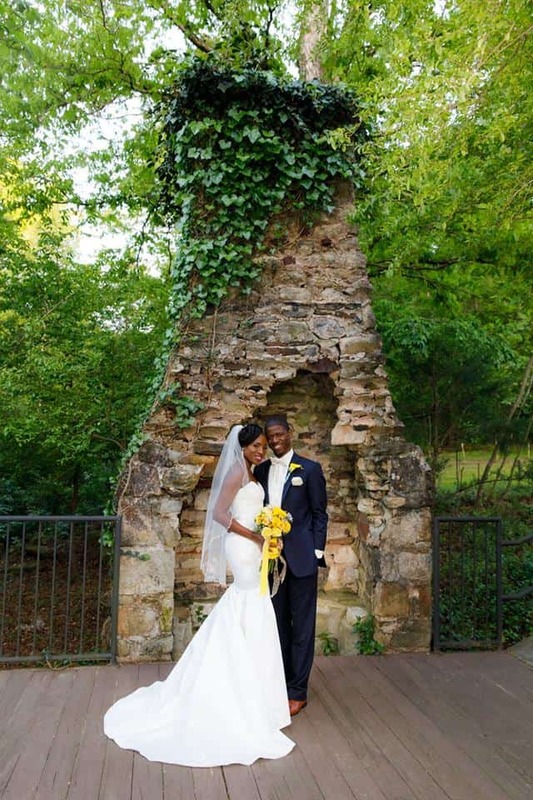 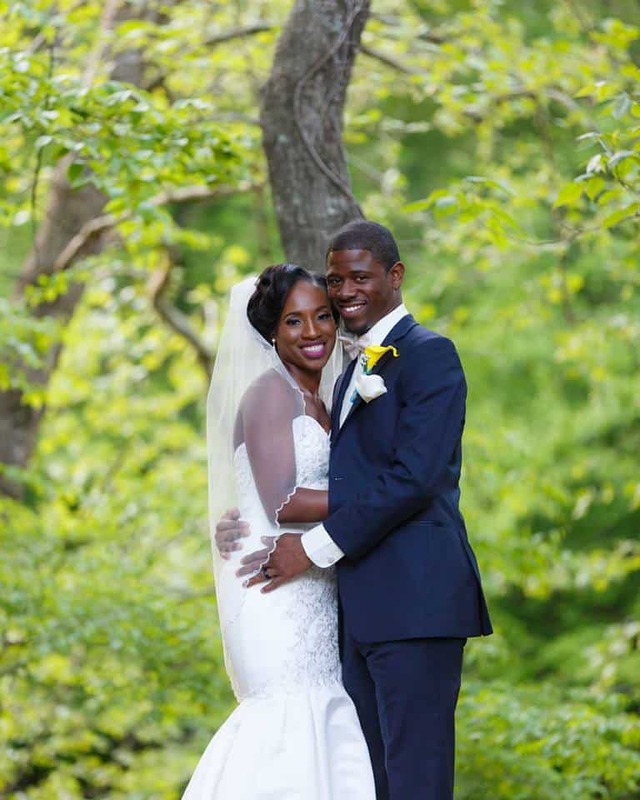 Shilda and Quay were wed on a beautiful April evening down by the Yellow River. 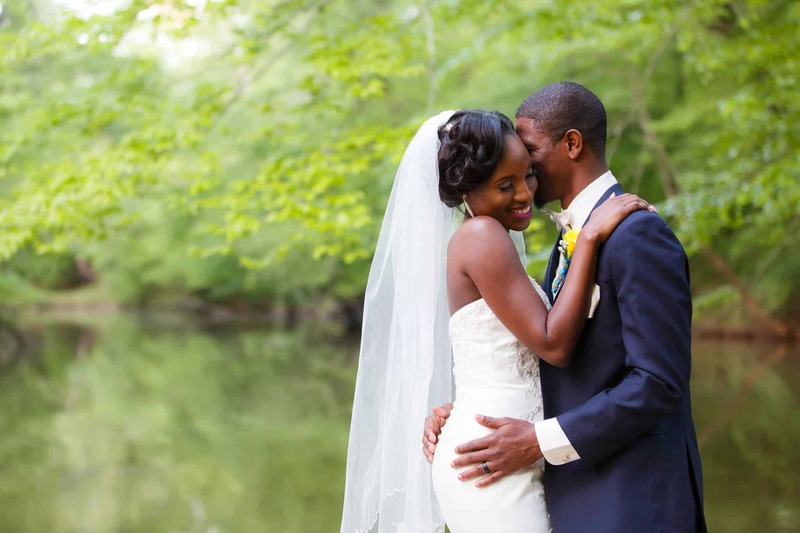 They certainly got some of the most beautiful photos with the gorgeous afternoon lighting. 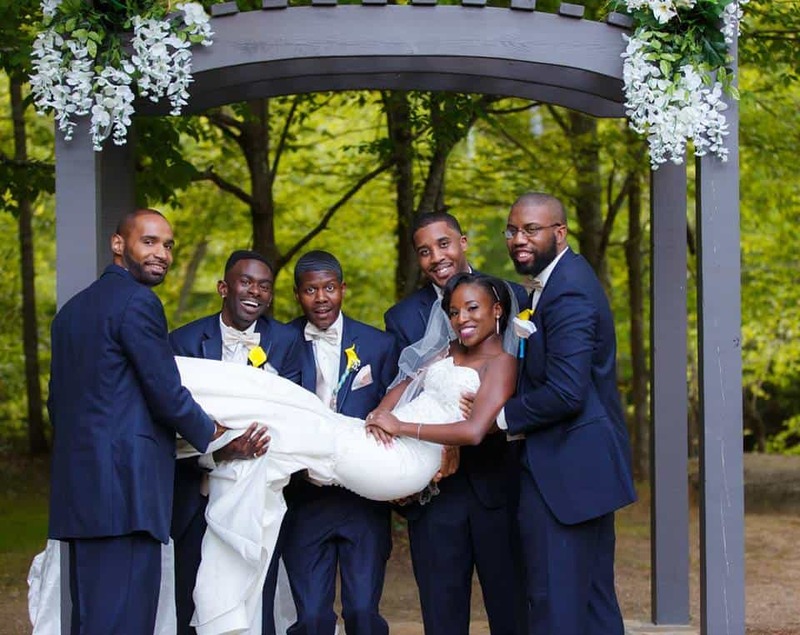 We really loved the color scheme they picked for their wedding. 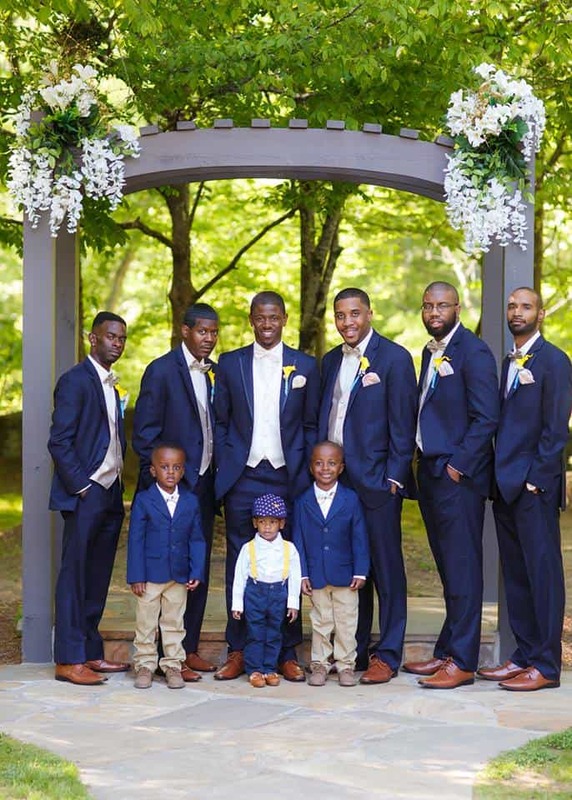 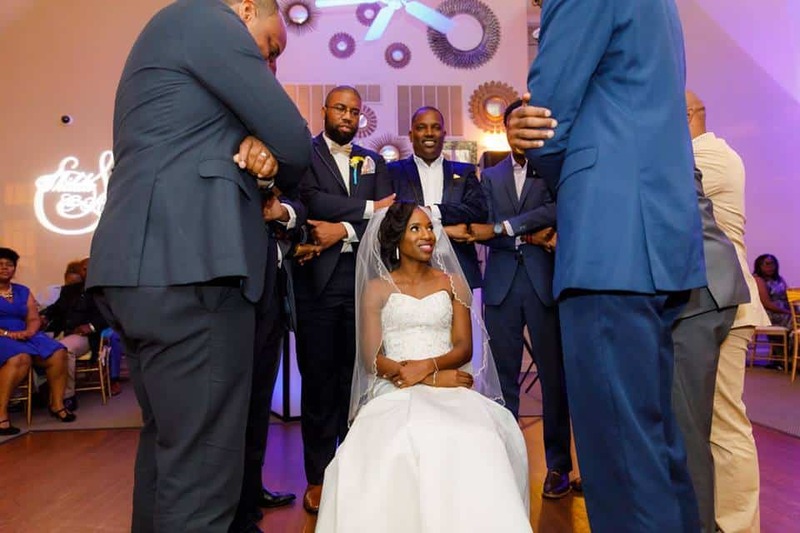 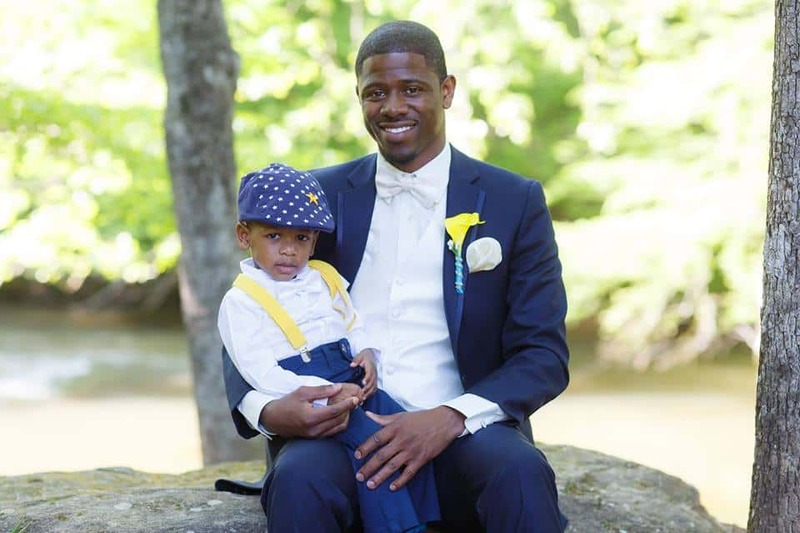 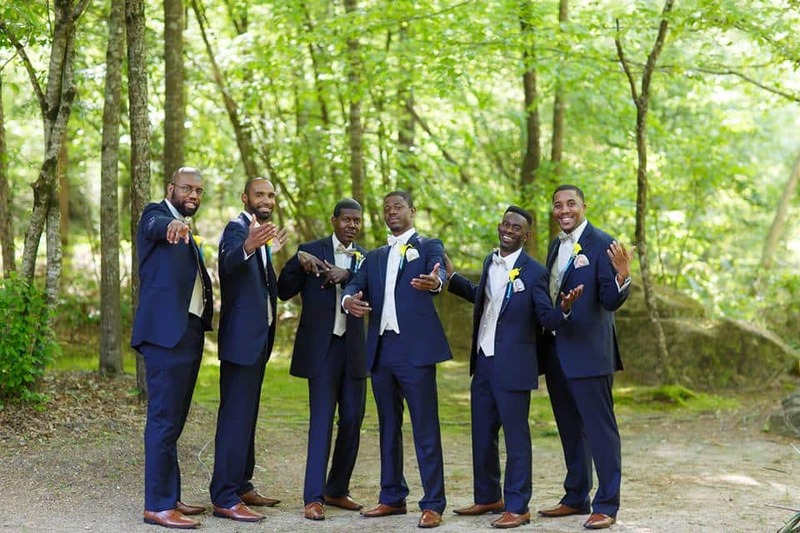 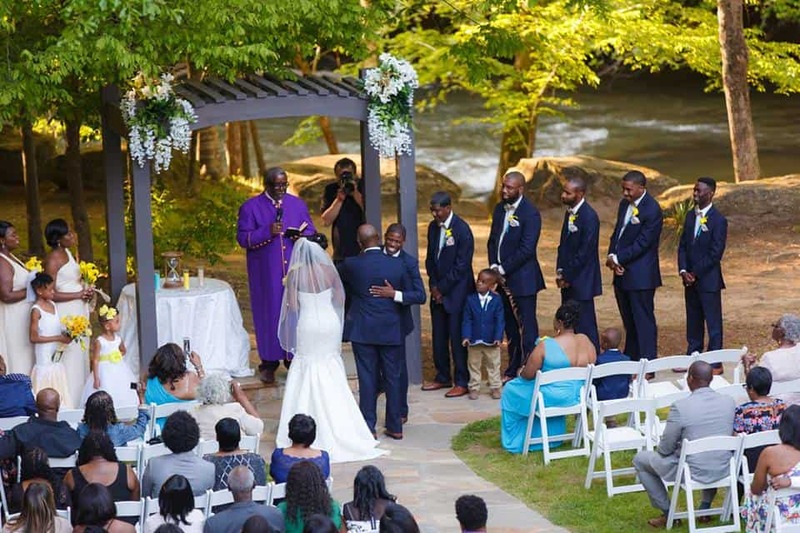 Quay and his groomsmen wore these awesome navy blue suits with beige bow-ties and kerchiefs. 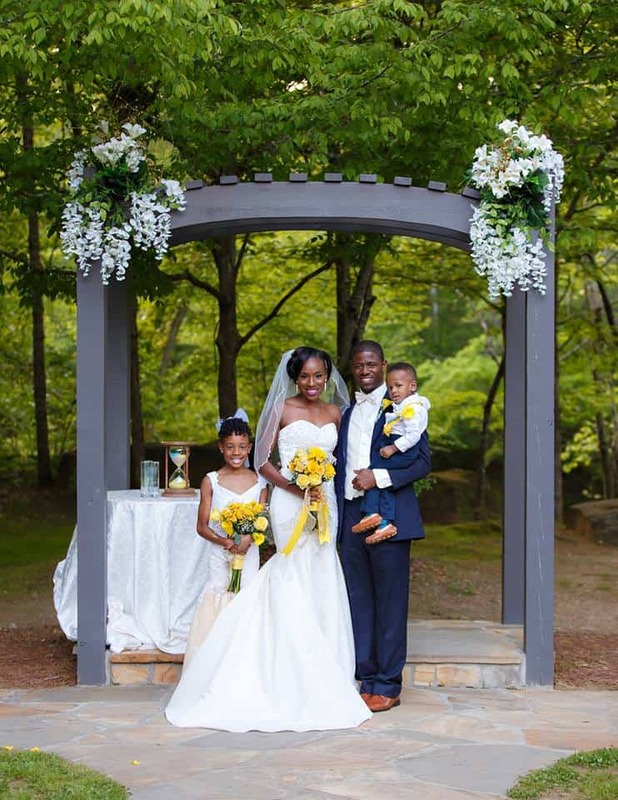 Their boutonniere’s were made with a single yellow lily. 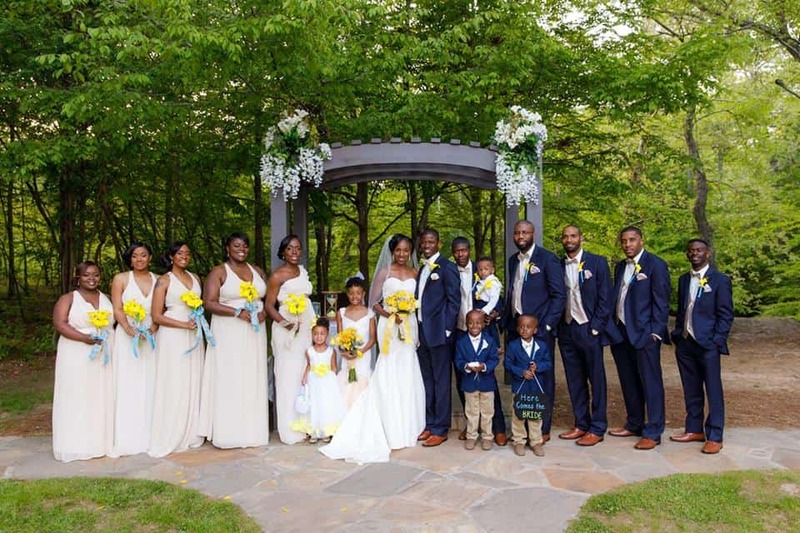 Shilda’s bridesmaids wore full-length beige gowns with a halter neckline. 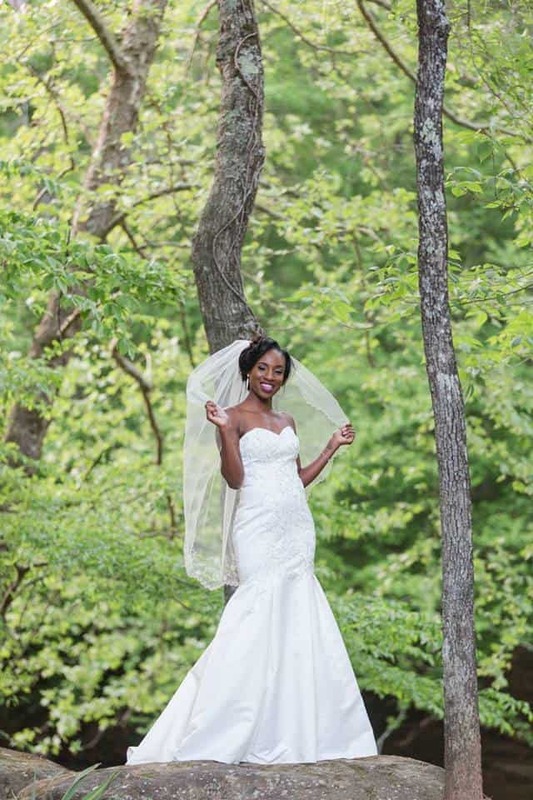 Shilda wore a beautiful fit-and-flare gown covered in lace details with a sweetheart neckline. 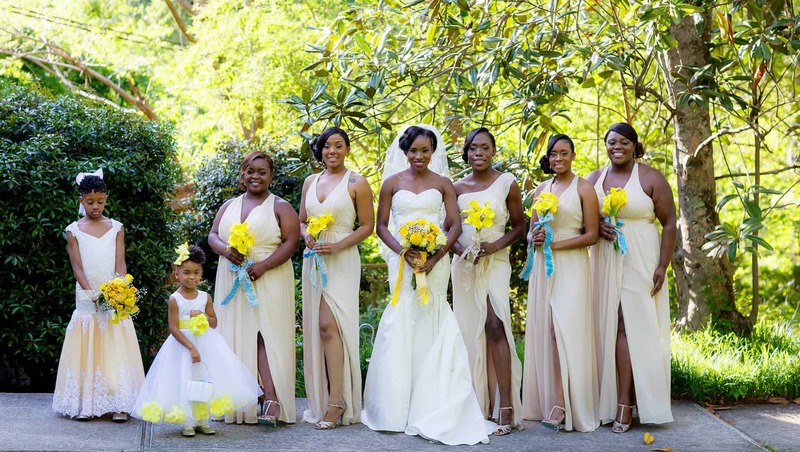 Her bridesmaids all had lovely bouquets of yellow lilies while Shilda carried a beautiful bouquet of yellow roses. 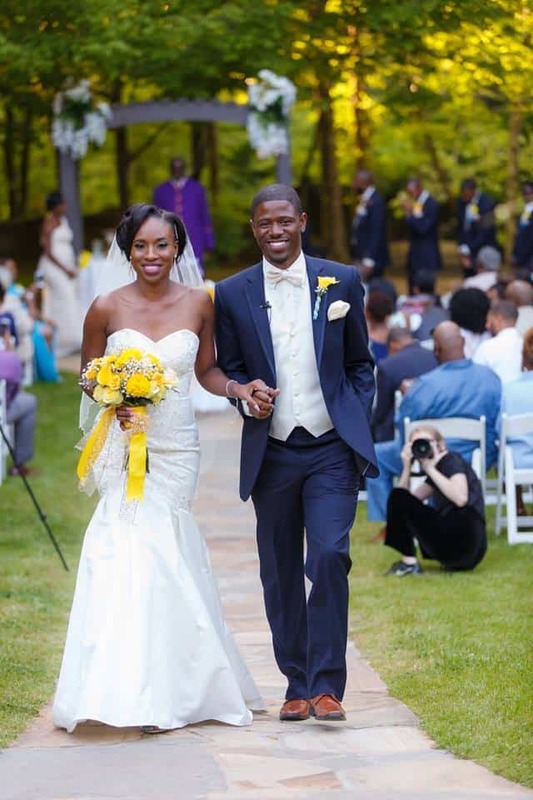 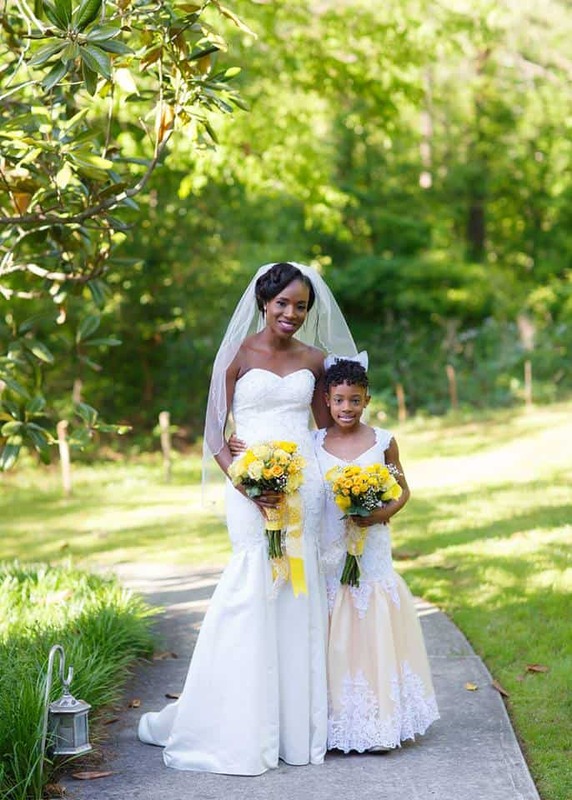 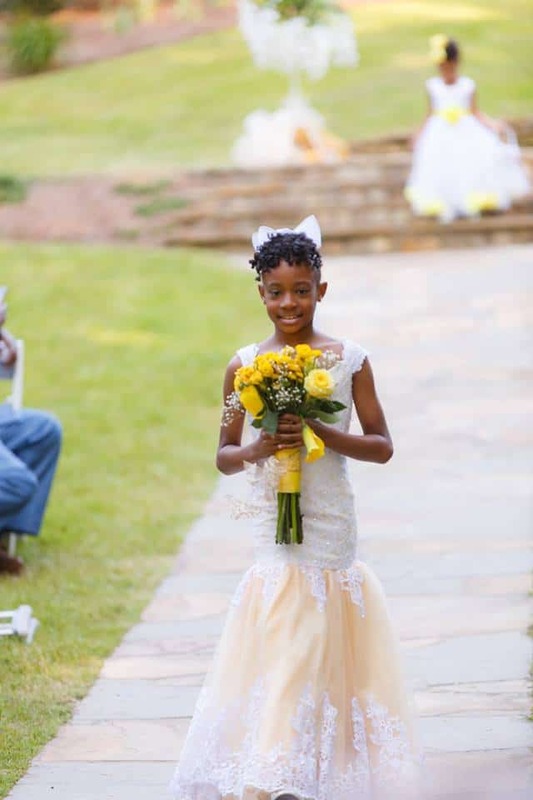 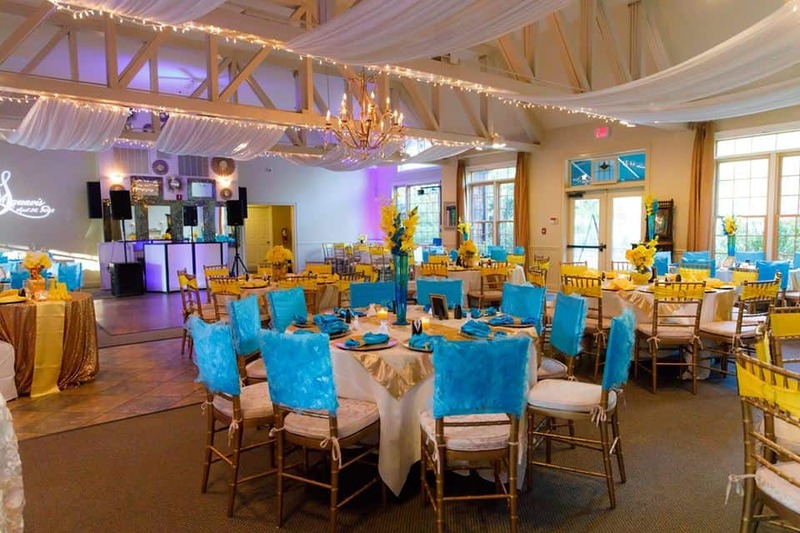 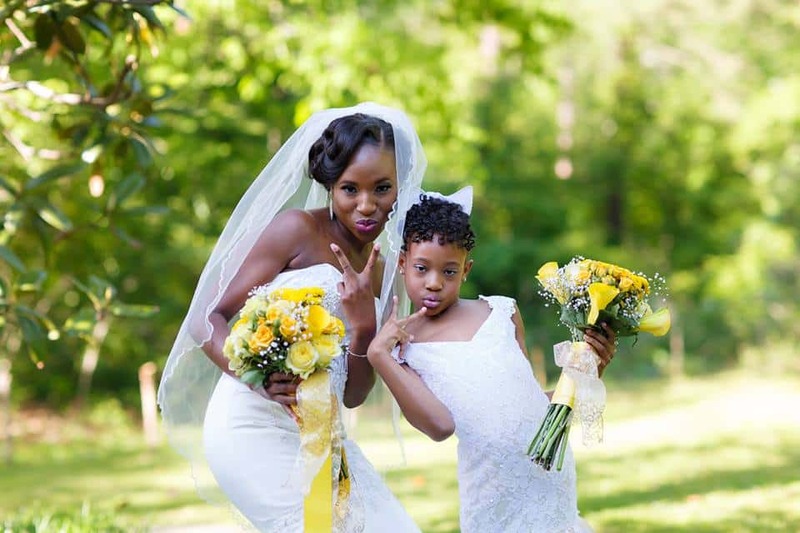 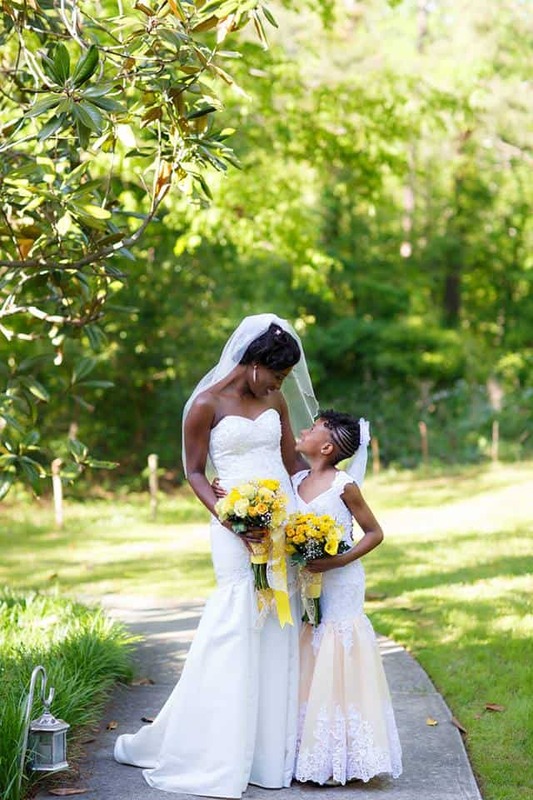 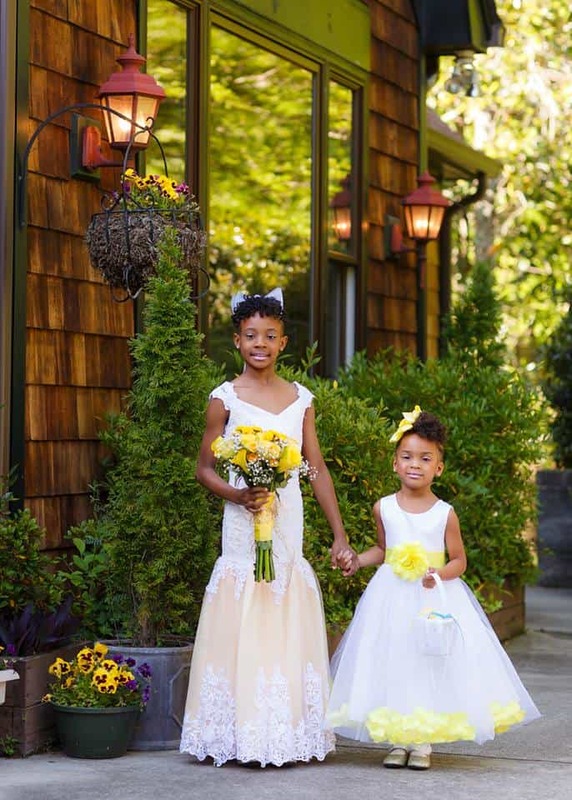 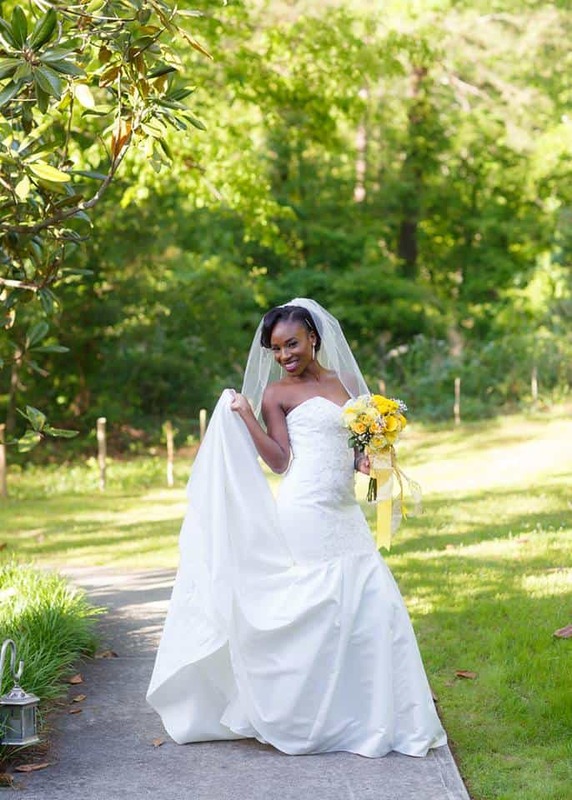 Their reception was beautifully decorated with bright yellow and blue decor. 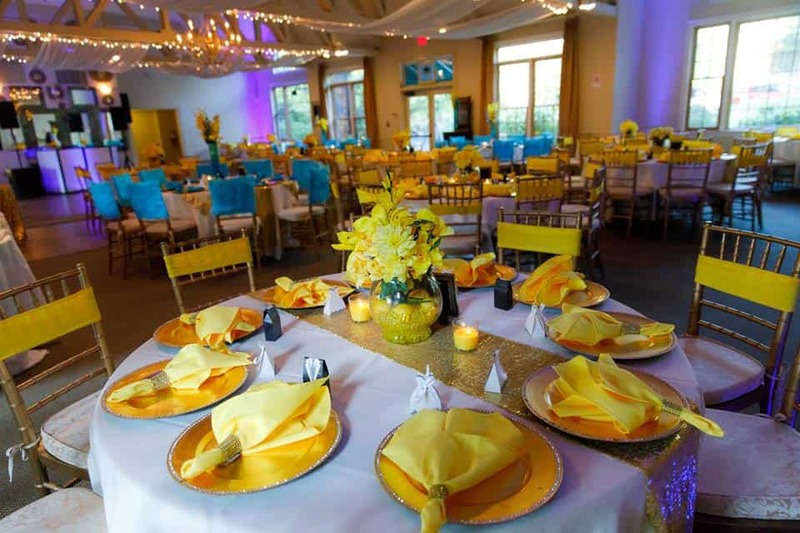 It was a very elegant display with sequined table runners, golden bejeweled chargers, and even glitzy napkin rings! 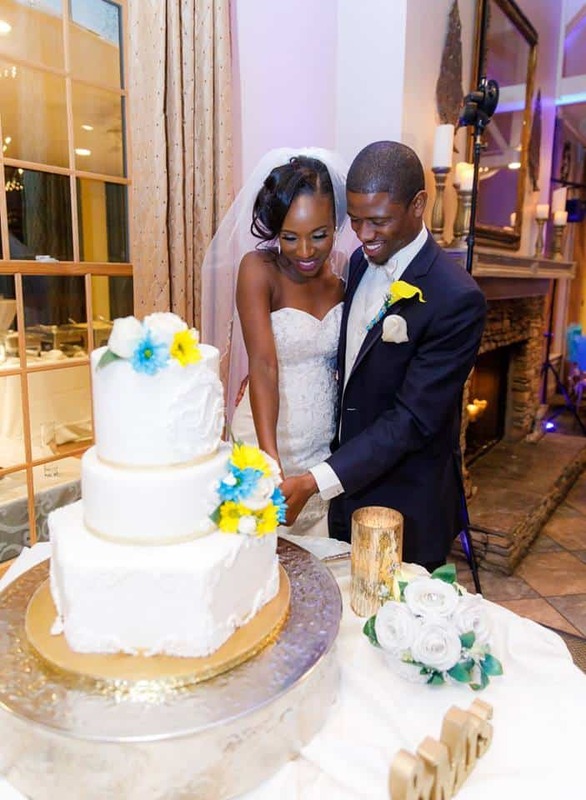 The cake was absolutely stunning with its textured decorations and colorful flowers – we really love that hexagonal bottom tier! 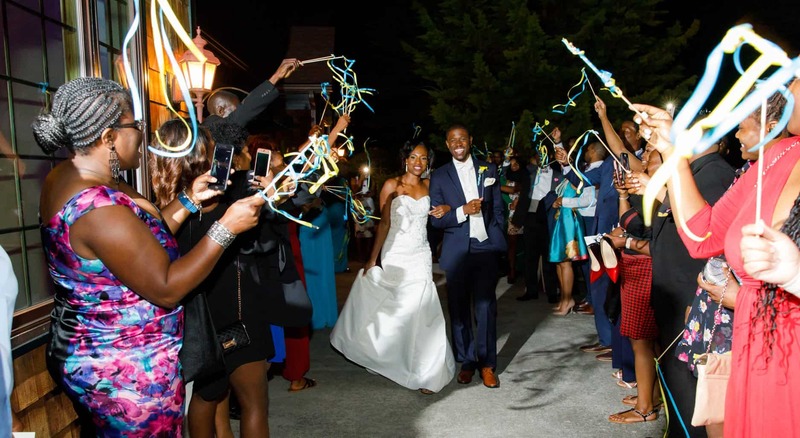 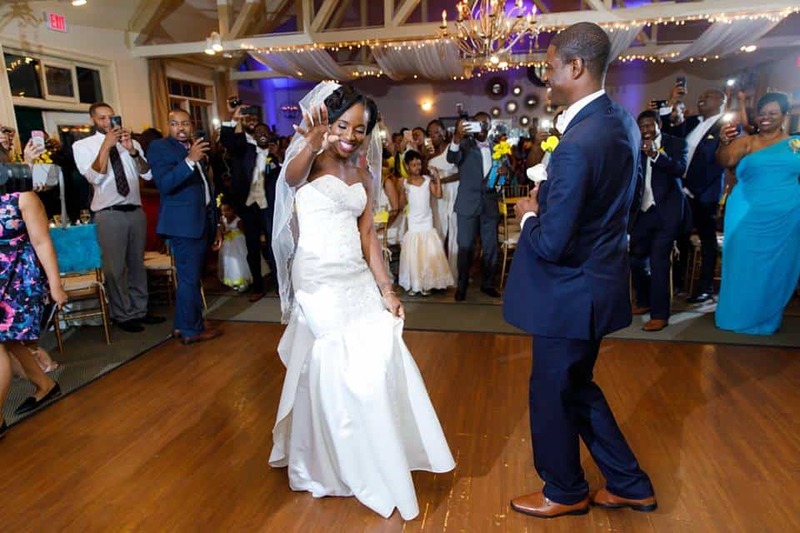 Shilda and Quay’s families danced all night and then sent the two on their way with a lovely ribbon streamer send-off.